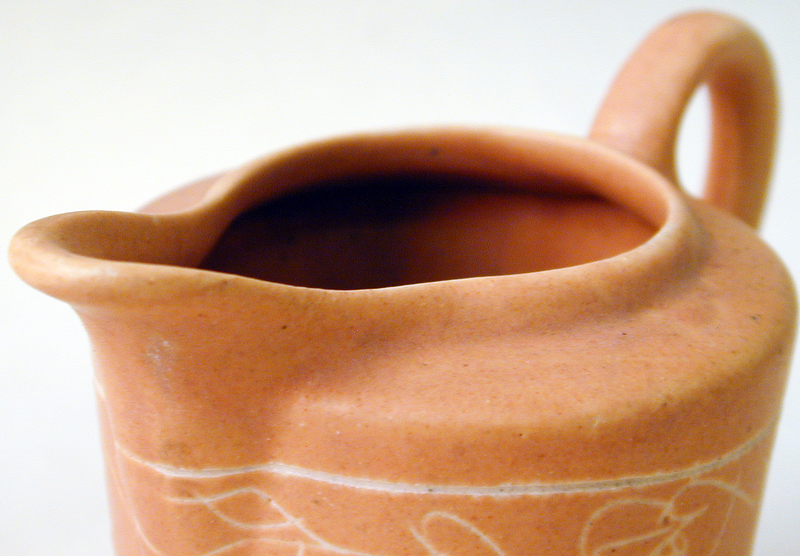 This hand-etched terracotta ceramic pitcher comes from our teaware makers in Khurja, India. Each piece is hand-etched, hand-painted, glazed, and fired in small batches in a traditional North Indian kiln. Because of their handcrafted nature, no two are exactly alike. There may be slight variations in the etched pattern, drips and imperfections in the glaze, as well as subtle shifts in shades and texture. 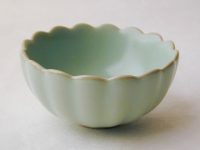 Idiosyncrasies in appearance are part of the special, one-of-a-kind character of this Indian teaware and do not interfere with functionality. Items sold as is. 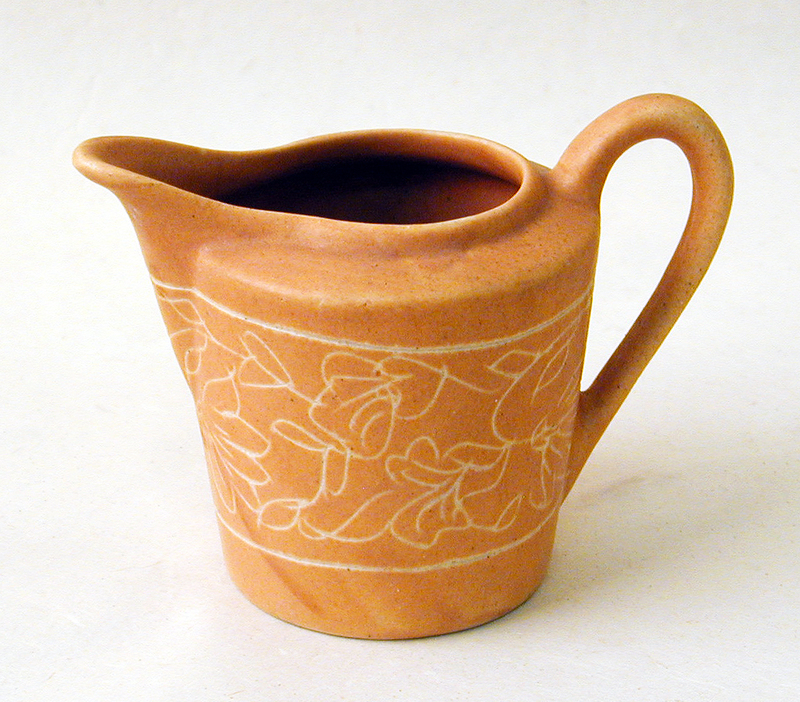 This pitcher matches well with our Terracotta Chai Cups and Himalayan Etched Teapot. 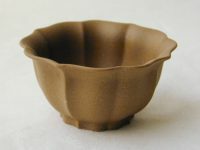 4.25″ length from spout to handle; 3″ height.